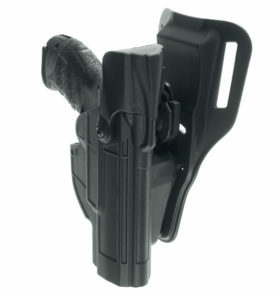 EVOLUTION5 holster in injection stamped polymer in one sole piece. 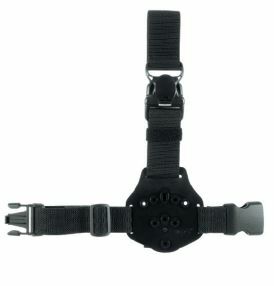 The elevated characteristics make it shock resistant, resistant both to hot and cold temperatures, wear, compression and traction resistant. 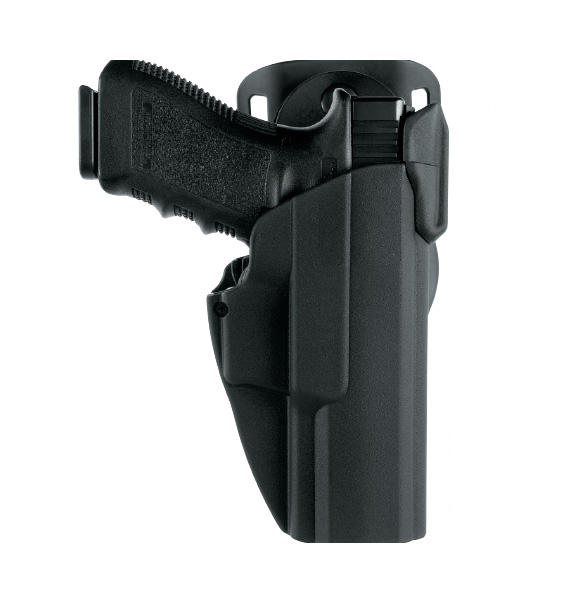 The insertion and the extraction of the arm with this holster is optimal in any climatic situation, it does not undergo any type of alteration, it does not need any internal lining or similar because it does not have any protruding or visible metal parts. 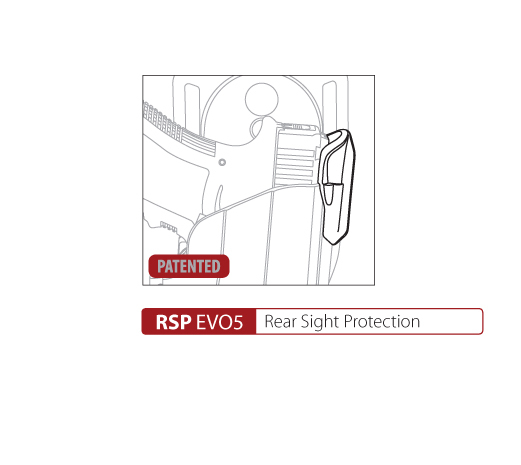 The accurate choice of the raw materials and the evoluted productive technology give the EVOLUTION5 holster a very high technical and esthetic quality. 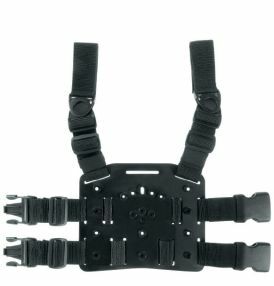 The security level consents the protection of the arm and at the same time guarantees a quick extraction. 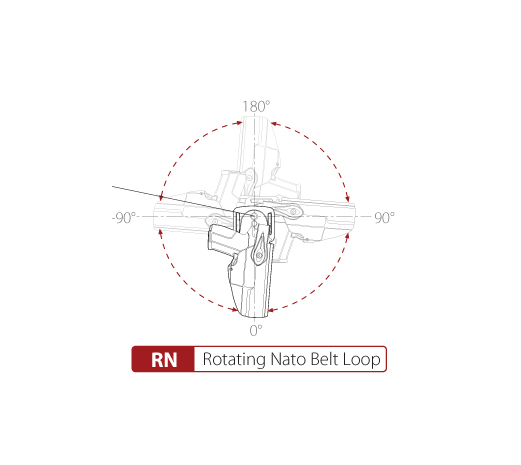 The EVOLUTION5 system is composed of fixed, rotating and removable belt loops, in order to obtain several inclinations ans positions. 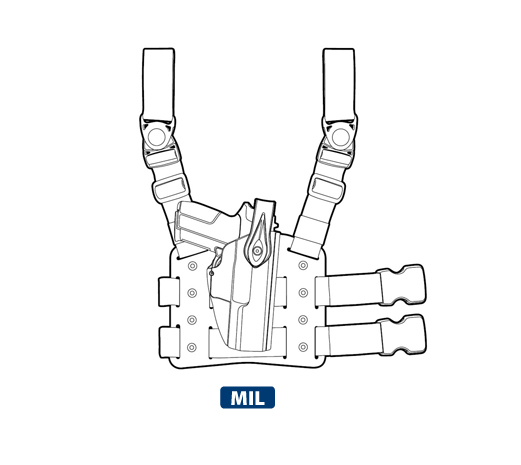 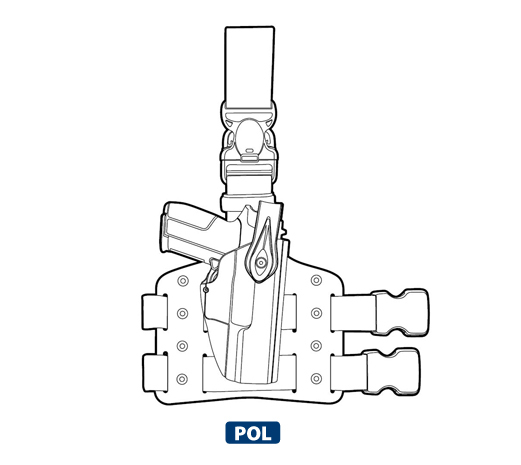 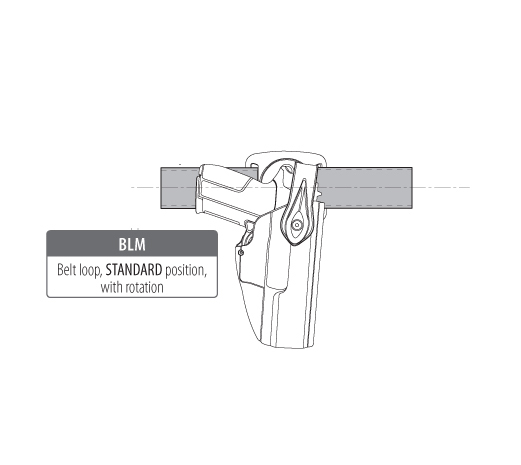 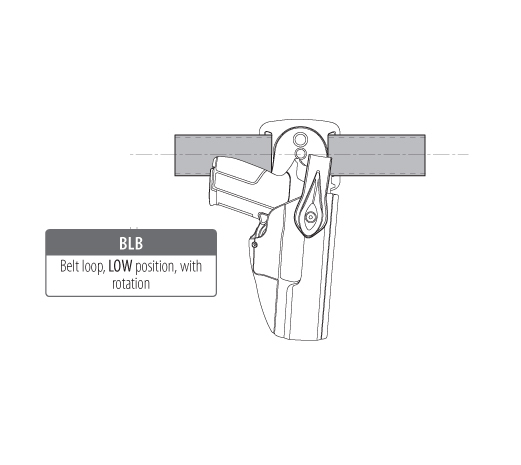 The patented high rotating function of the belt loop, consents the holster-arm group to be higher, respect to the operators sitting position in a determined way and of at least 180 mm in respect to the vertical position, and cqn also rotate both ways depending on the needs of the operators. 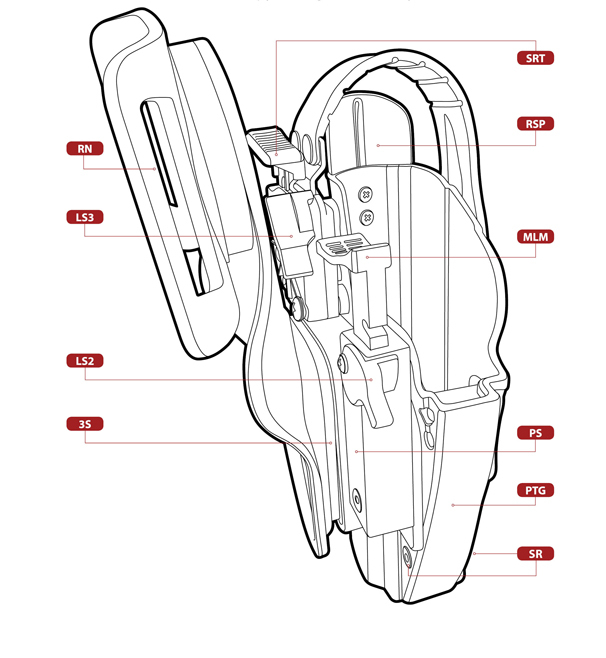 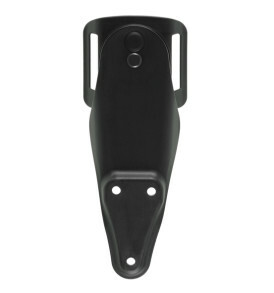 Besides this, it can be applied to the holster with a three-point application, integrated and personalized with a large range of spacers and distance plates, which permit the customisation of the inclination, the height and the distance from the operators body, depending on the operating needs. 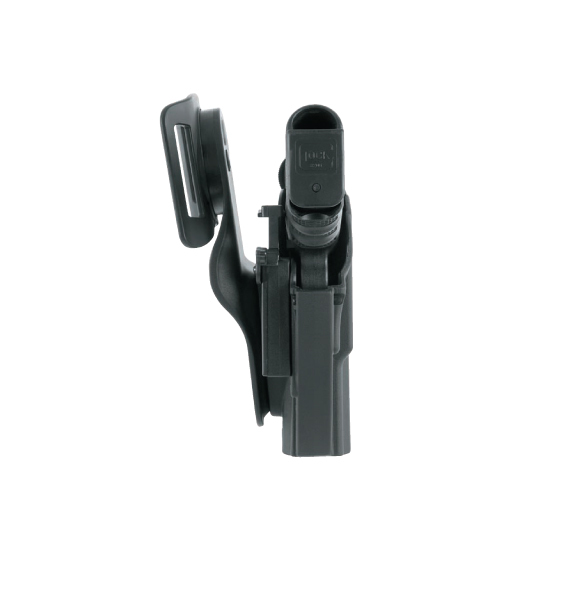 Assembled on the holster, consents the protection of the rear sight. 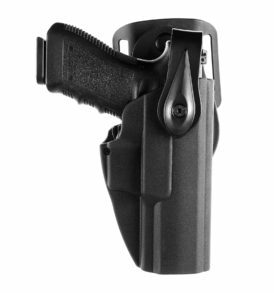 A locking system which operates at the moment of the insertion of the weapon in the holster, preventing the theft of the weapon. 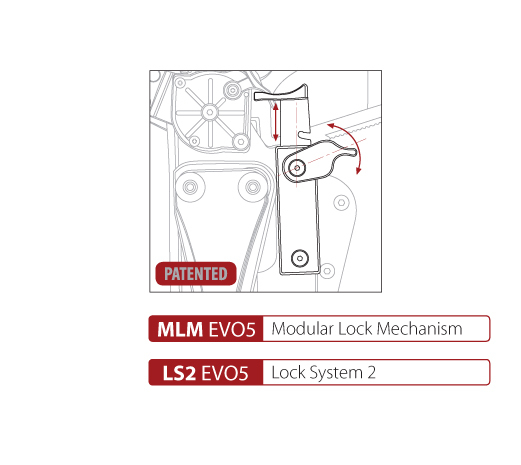 With a simple, fast and instinctive pressure of the thumb the lock system is automatically disactivated. 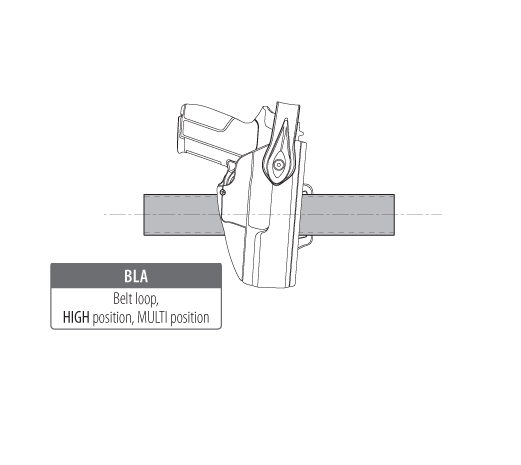 A removable lever that is located under the handle of the arm which acts on the mechanism MLM blocking the trigger of the weapon; if kept inserted, at the moment of the introduction of the arm in the holster, allows a total block of the system MLM. 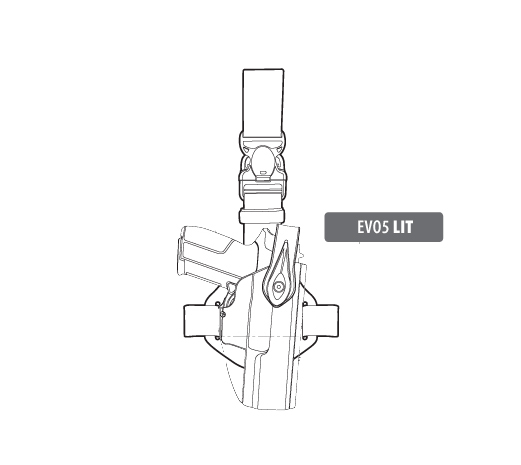 However, the system is connected or disconnected with a light and quick pressure of the finger.